You can make a payment with American Express, Visa, MasterCard, Discover and Paypal. Paypal is our processing company and you do not need to have a Paypal account to pay with any of the mentioned credit cards. 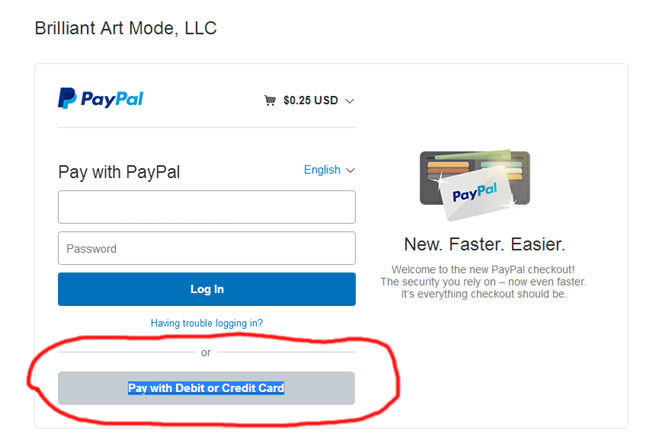 Is not necessary to have a Paypal account.